You are here: Home / Featured / CEBU PACIFIC AIR: FLIGHTS FOR AS LOW AS 299 BASE FARE ONLY! “Take only memories, leave only footprints.” – Chief Seattle. 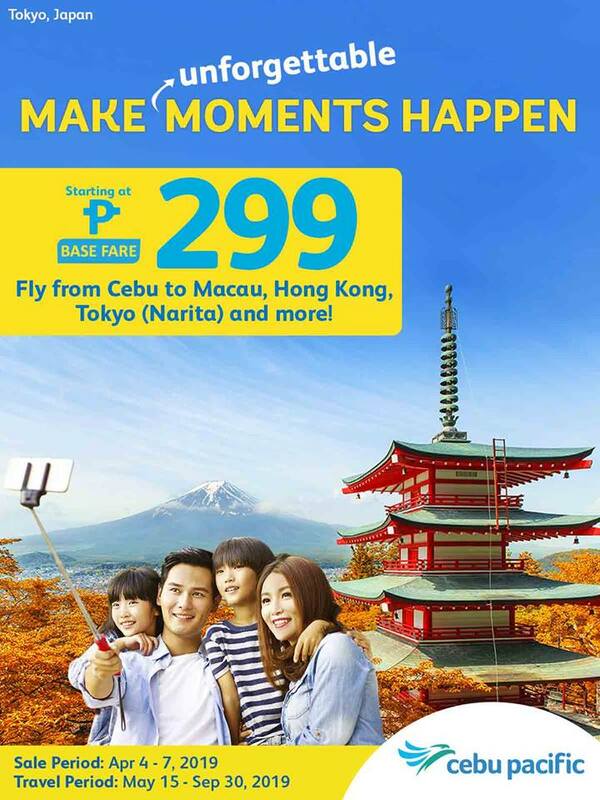 Make your unforgettable happy moments with Cebu Pacific Air with their latest promo seats. Catch the Sakura or Cherry Blossoms in Japan, Taiwan, South Korea for as low as 299 base fare only or fly to Shanghai for as low as 1 peso only!